A detailed guide that shows how to give the access to your Opencart admin panel and why you might do it. Running your own Opencart website, different cases might happen when you need to involve someone to work with your site. You could find it impossible to run the site alone and feel like making a team with more people involved. Or probably you might need help with installation and issues fixing if they come up all of a sudden. Anyhow, you may need to share the access and it’s a good thing to know how to do it. 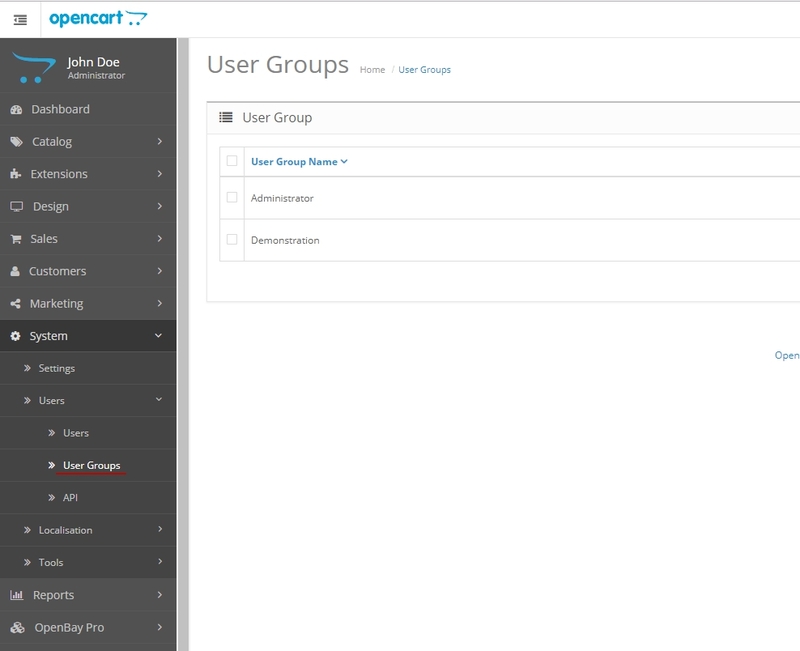 Opencart lets you create different user groups with different permissions. 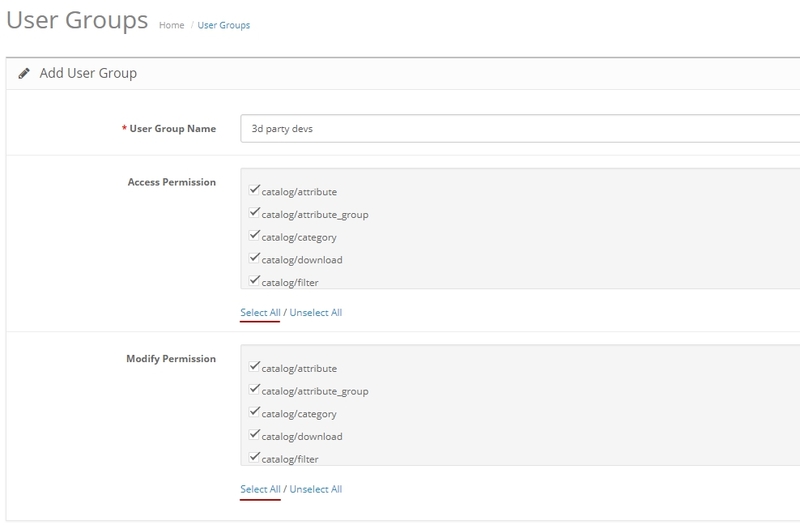 In each created user group there are two sections – Access Permissions, where you may select the pages to be accessed and Modify Permissions, where you may set the pages to be modified. You may create as many User Groups as you like. If you restricted the access to the particular pages for a user, the user will not have permissions to modify them, however, they will be able to view the information. There are two groups provided by Opencart – Administrator and Demonstration. The Administrator has all the access and modifying permissions while the Demonstration group has none. However, you may change the permissions in both groups by adding or removing the ticks you need or you may delete these groups as well. Here are the steps of how to share the access to your Opencart admin panel if you need our help. 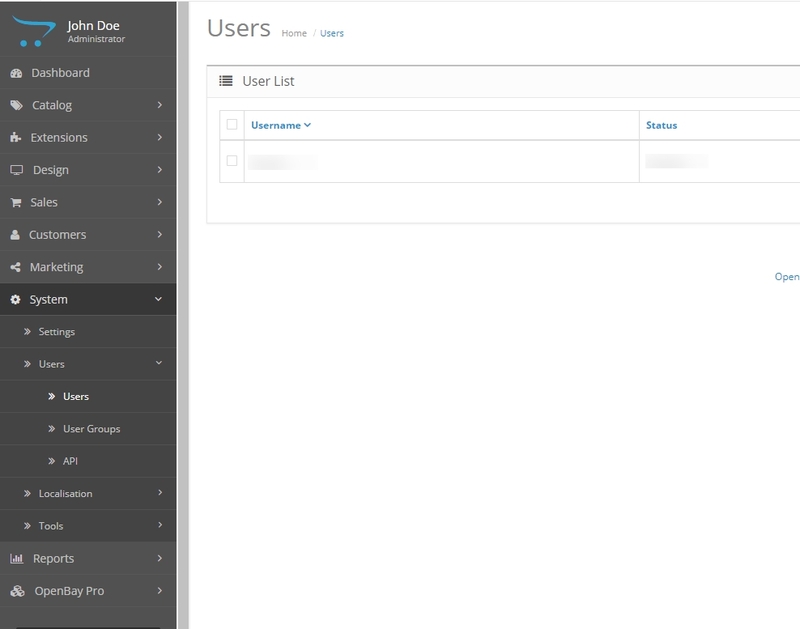 Login to your Opencart admin panel and select System → Settings → User Groups. You may choose the Administrator group or create your own. In case you decide to make a new group, press “+” button . You will be redirected to the Add User Group window. Fill the User Group Name field 3d party devs and press “Select All”. To add a new user select Users on your dashboard and press “+” button. 1.In the Edit User window fill in Username, First name and Last name the way you like. Create a password and confirm it, and set the status as Enabled. When you’ve finished with all the steps, provide us with the Username and password you had created. Now it’s all done! When the access is no longer required, you may select System → Users → Users, tick the username and press the bin icon. When you do it, the user will be removed from the User List. This question is quite difficult and doesn’t have an exact answer. Sharing access with someone means to let them come inside and somehow or other see your personal information. However, if you were asked to provide us with temporary access to your admin panel you may be sure this is the only option to fix the things for you. We do understand your worries and we assure you that your website’s safety matters to us. Our development team are extremely careful with our customers’ websites and take every precaution against any possible loss of data.